Open the PDF file in Adobe Acrobat Reader. Click on Fill & Sign in the Tools pane on the right. Click Sign, and then select Add Signature.  A popup will open, giving you three options—Type, Draw, and Image. Once you’re done, click the Apply button. 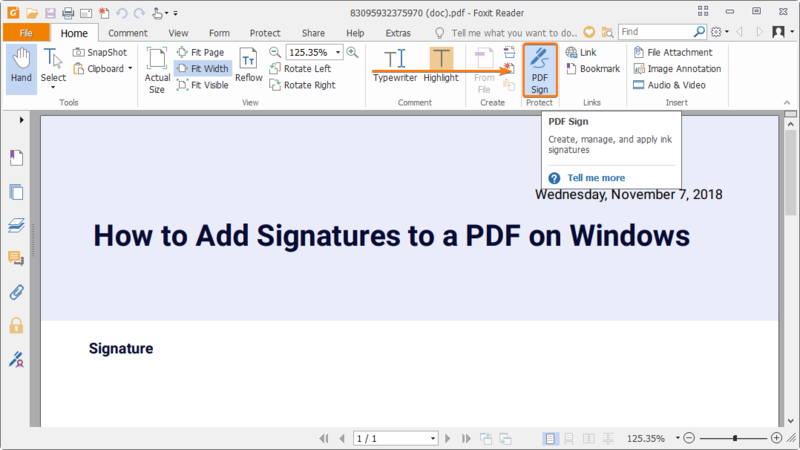 Drag, resize and position the signature inside your PDF file. 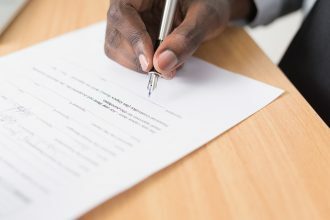 Businesses or individuals that provide services often need a signed contract for a project. Employers may ask newly hired employees or interviewees to sign a non-disclosure agreement. Landlords and tenants both have to sign a lease or rental agreement. Companies that rely on online forms to collect information from their users may need signed consent from their respondents. Signing PDF files may seem daunting, especially if you haven’t done it before. If you’re a first-timer or someone who needs a refresher on how to sign PDF documents, we’ve got your back. It’s important to understand the difference between electronic signatures and digital signatures. This article discusses the electronic signature, the equivalent of your handwritten signature. It’s merely an image of your signature overlaid on a PDF document. A digital signature, on the other hand, is cryptographically secure and verifies that someone with your private signing key has seen the document and authorized it. It’s very secure, but also complicated. Digital signatures are the online equivalent to a notarized signature. A trusted third party, known as a Certificate Authority serves as the notary in terms of verifying your identity. 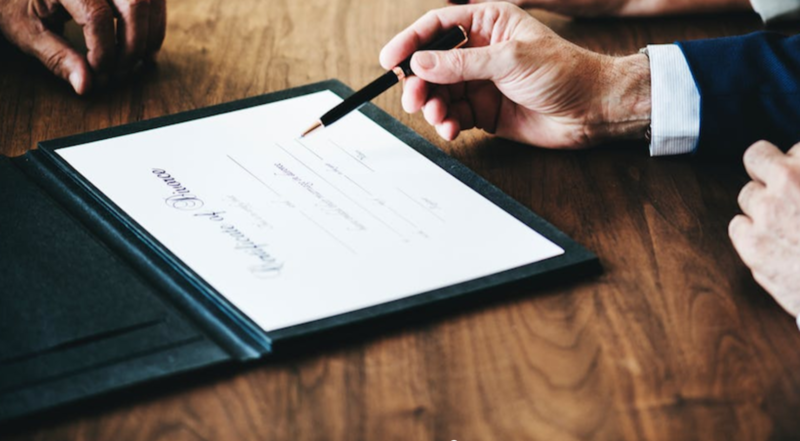 Since an electronic signature is what most people expect when they send you a document to sign, we’ll focus on that process. If you’re a Windows user, you’re probably familiar with a PDF reader—an application installed on your PC that allows you to open PDF files (with a .pdf file extension). 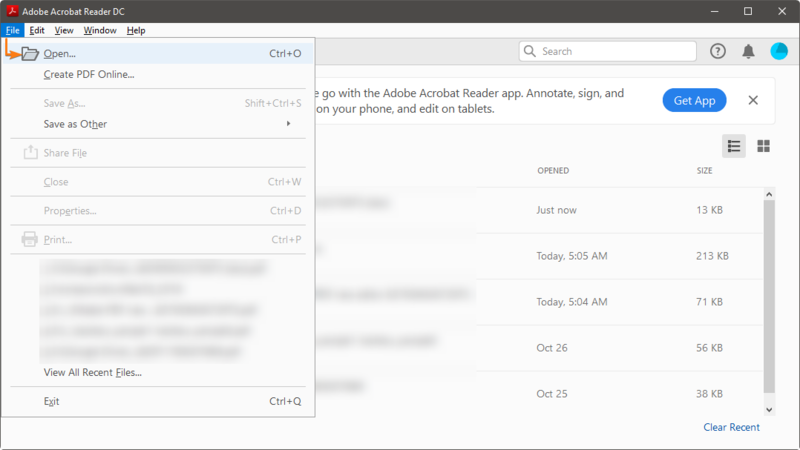 The most popular option these days is Adobe Acrobat Reader. We’ll assume that you already have your favorite PDF reader installed on your PC. Click the File menu > Open… then, select the PDF file you want to sign. If you’re not seeing the Tools pane, press SHIFT+F4 on your keyboard. A toolbar will appear at the top of your document. Type allows you to type your name in cursive format. You’re free to change the style of the signature. Draw allows you to draw the signature using your mouse, touchpad, or a pen if you’re using a touchscreen device. Image allows you to select an image file of your signature. 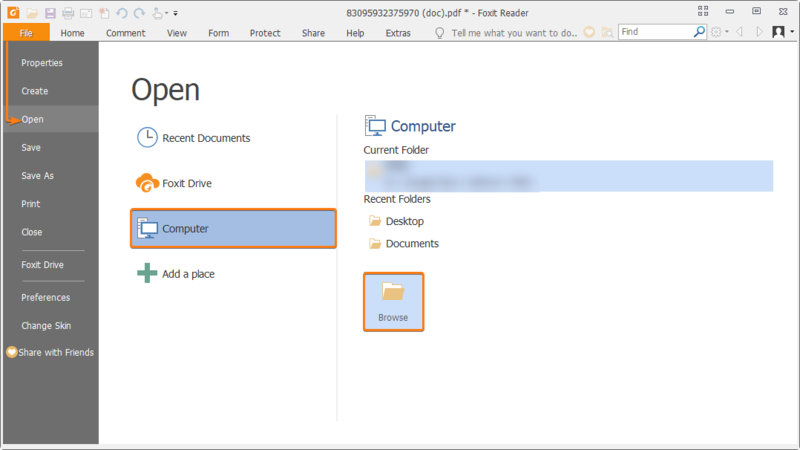 Open the Foxit Reader in your PC, then click the File menu > Open > Computer > Browse then select the PDF file you wish to sign. Click PDF Sign in the toolbar at the top. Draw Signature allows you to draw the signature using your mouse or touchpad. Import File allows you to import PDF and image files. Paste from Clipboard allows you to use the image copied to your clipboard. Type Signature allows you to type your signature using cursive fonts. Online Signature allows you to use saved signatures in your Foxit account. Once you’re done, click the Save button. 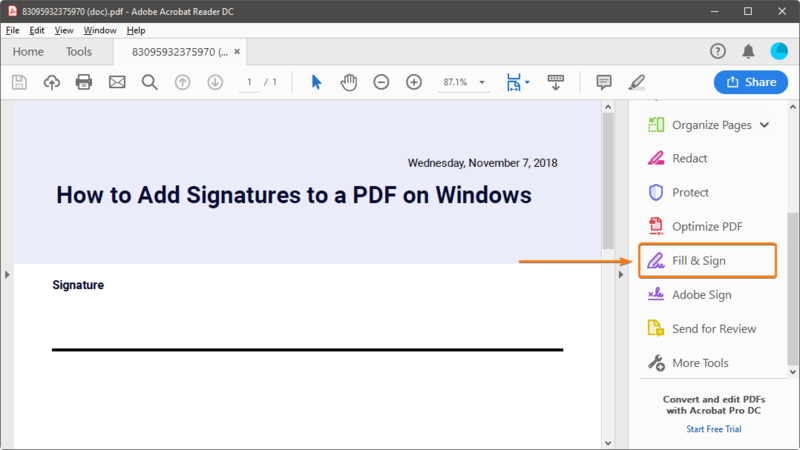 You can now drag, resize, and position the signature anywhere inside your PDF file. 1. 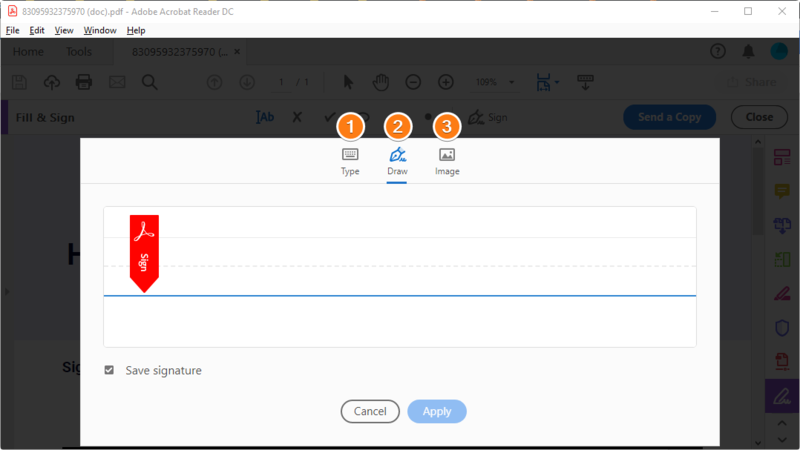 Open the Foxit Reader in your PC, then click the File menu > Open > Computer > Browse then select the PDF file you wish to sign. 2. Click PDF Sign in the toolbar at the top. 3. Click the green + icon in the toolbar. A dialog box with five options will open. Import File allows you to import PDF files and image files. If you already have a signature, select the signature you wish to use and skip to next step. 4. Once you’re done, click the Save button. You can now drag, resize, and position the signature anywhere inside your PDF file. Knowing how to sign PDF documents will give you an edge in today’s online world. 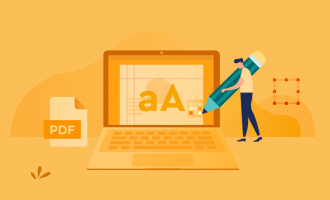 For further information on how to add an electronic signature to a PDF using third-party tools, refer to our Complete Guide to Editing PDFs.